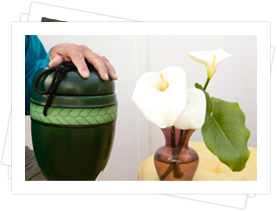 When you first begin the process of designing a funeral, the decisions you will face might seem overwhelming at first. We are here to help you tackle the choices one by one and make the journey one of love, healing, and life celebration. 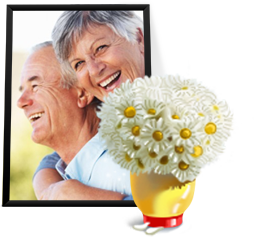 The process can be broken down into two stages: decisions regarding the service and how you would like to honor your family member's life, and decisions regarding how you would like to care for your family member's physical remains. Whether it is formal or informal, traditional or unique, a funeral provides an opportunity for family and friends to gather and support one another in taking the first steps of their healing journey. A service can take place in any setting - at your home, outdoors, or at our facilities, for example - and can incorporate music, poetry, or art in the celebration of a life well-lived. There are endless possibilities for what the service can be, and we are honored to go above and beyond in our duty to meet your personalized and specific requests. Our staff is experienced in understanding and graciously accommodating the needs of all beliefs, faiths, lifestyles, and relationships. We are here to answer your questions and guide you through the decisions you will need to make, and will encourage you to take your time to figure out the most meaningful and fitting way to honor your family member and incorporate the elements that you and your family find meaningful. No matter which path you decide to take, we will be there to support you and assist you in exploring your options and making an informed decision that feels right for you and your family member.